Given the recent release of the Prometheus Blu-ray, it only makes sense that director Ridley Scott would be hitting the promotional circuit hard. Less expected however, is how liberally Scott has been discussing his upcoming projects. Increasingly, it seems as if any question posed to the director will elicit a thoughtful reply. You may recall that way back in May we brought you word that screenwriter Hampton Fancher (writer of the original Blade Runner screenplay) had been brought on board to pen a script for Blade Runner 2 — we’re still lacking any better title for the project, so consider that name to be a dull placeholder — and that Scott was keen on featuring a strong female protagonist in the then-still-arguably-hypothetical sequel. “… I started my first meetings on the Blade Runner sequel last week. We have a very good take on it. And we’ll definitely be featuring a female protagonist,” Scott told reporters at the time. It’s not a rumour — it’s happening. With Harrison Ford? I don’t know yet. Is he too old? Well, he was a Nexus-6 so we don’t know how long he can live [laughs]. And that’s all I’m going to say at this stage. We expected Scott to confirm the film, but what’s all this chatter about Harrison Ford? Scott never clarifies those words, so we’ll apparently have to wait until he’s next asked about Blade Runner 2 to find out whether or not Rick Deckard will return in the sequel. Ridley Scott: You’ve got a person [Noomi Rapace’s Elizabeth Shaw] with a head in a bag [Michael Fassbender’s David] that functions and has an IQ of 350. It can explain to her how to put the head back on the body and she’s gonna think about that long and hard because, once the head is back on his body, he’s dangerous. Metro: So that’s the sequel? Ridley Scott: [Laughs] I wish it was that easy. They’re going off to paradise but it could be the most savage, horrible place. Who are the Engineers? And that’s it. 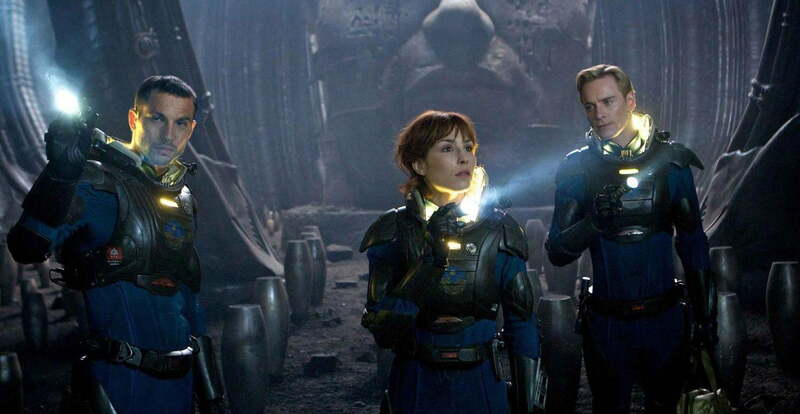 While the above certainly could inspire fan speculation on the Prometheus 2 plot, it isn’t exactly much to go on, is it? For that matter, with the recent revelation that the Blade Runner, Prometheus and Alien universes are all the same place separated only by vast stretches of time, and at least one of the characters mentioned by Scott could effectively be immortal, there’s a nearly infinite number of directions this story could take. We don’t know about you, but we’ll be keeping our fingers crossed that most of those hypothetical directions involve acid blood, chestbursters and Noomi Rapace proving once again that a flamethrower is the perfect accessory for a latent maternal instincts. We’re not sure how Scott could make that work, but we’ve got faith in the man. Is Google's acquisition of Motorola working out?